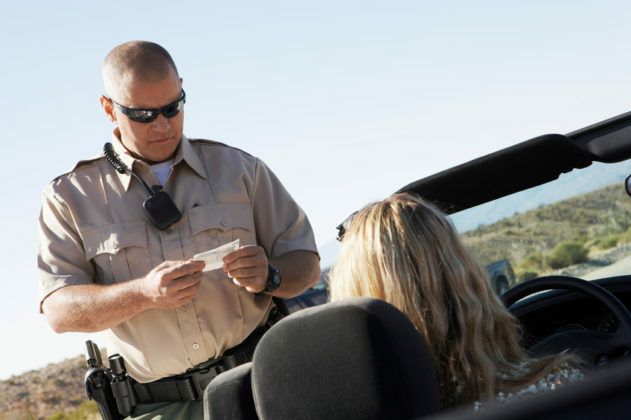 I flirted my way out of a well-deserved traffic ticket. In our current political and cultural climate, I keep butting up against two conflicting thoughts. The first is that this is not the time for white people to espouse opinions and pen essays about the state of our country. If ever there was a time for white people to stand down and give people of color the spotlight, this is it. Now is the time for us to listen. At the same time, I think that keeping quiet may also cause harm. When we say nothing, it is as if we as white people are throwing up our arms and saying, “This isn’t our problem.” Unchecked white privilege can be its own form of racism, which grows more sinister the longer we remain silent about it. It feels inappropriate not to take a moment to acknowledge and reflect on these facts: We live in system stacked against people of color and I, as a white person, have reaped the benefits. 2.) I have no idea how it feels to have a skin color or appearance that differs from the majority. I have easily blended in everywhere I’ve ever gone. I’ve never entered a party as a POC surrounded by mostly white people, only to have one of them touch my hair after proclaiming, “Now I’m going to do that racist thing where I touch your hair.” This is what happened to Saeed Jones, an experience he recounts in this Buzzfeed essay. “I smiled like it was an affliction because somewhere along the way I picked up the idea that when you’re a young black writer among the literary elite you can’t be both grateful and angry, or proud and humiliated—though, of course, I was,” he writes. 5.) I have been offered nearly every job I’ve ever applied for. My name is as Caucasian as they come, a fact that may have helped me more than I initially realized. This Upworthy video and its accompanying post show that “black-sounding names were 50% less likely to be called back” for job interviews. 6.) I have never experienced poverty or homelessness. The few times I was in danger of missing a rent payment in my 20s, my parents stepped in to help. According to the Institute for Research on Poverty, “Blacks and Hispanics have poverty rates that greatly exceed the average.” Poverty impacts income equality, high school graduation rates, teen birth rates, hunger, homelessness, health care, and more. 9.) I was in the car when my dad offered a police officer a little sass after being pulled over for speeding. The reaction on the officer’s part was mild annoyance and a small chuckle. If my dad was not white, this story could have gone very differently. According to DoSomething.org, African-Americans make up only 14% of the U.S. population but are more likely to be pulled over and frisked than whites. Eighty percent of stops made in New York City were for blacks and Latinos, of which 85% were frisked. Eight percent of the stops were for white people. 10.) Several years ago when cops received the wrong apartment number and mistakenly knocked on my door at 4am with guns drawn, they briefly looked around and left quickly. I spent a few sleepless nights wondering what would have happened if I had said or done the wrong thing, if one of the cops had panicked and accidentally pulled a trigger. I pictured it again and again, but ultimately there was no scenario I could visualize in which I opened that door as a nerdy white woman and was met with any outcome other than an apology for the disturbance. I do not know the solution to racial tensions and violence in the U.S. I only know that I’ve lived a very privileged life and because of that, I am part of the problem of race in America. Denying this fact only makes the problem bigger. Kristen Forbes is a freelance writer in Portland, Oregon. Her work has been published in Verily Magazine, Fitness Republic, The Rumpus, Role/Reboot, Medium: Human Parts, Bleed, and other publications.